The CX37C provides excellent value and performance in a compact footprint. With bucket forces of 6,900 lbf., a dig depth of 10 ft. 3 in. 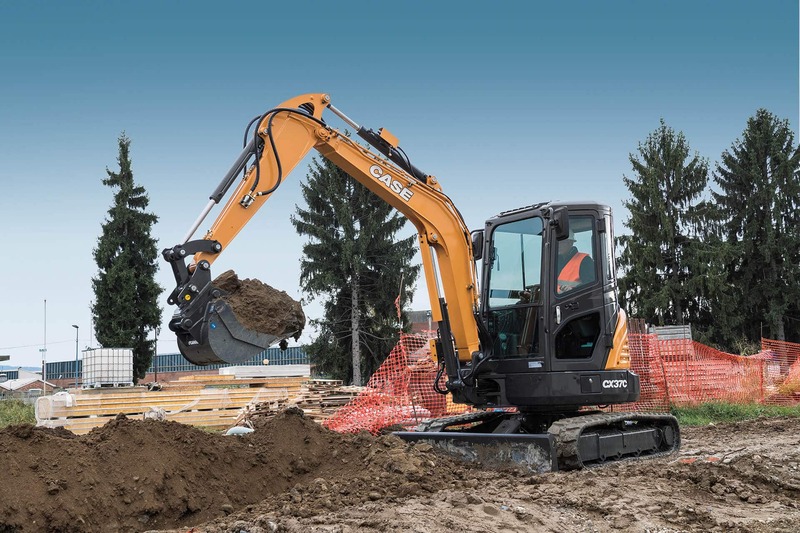 and an operating weight of 7,990 lb., it delivers the greatest power and performance of any CASE mini excavator that can still be towed behind a truck without requiring special licensing*. An adjustable boom and minimum tailswing design allow for work in confined applications and standard features such as auxiliary hydraulics and backfill blade (or optional angled blade) help owners get the most out of their investment. 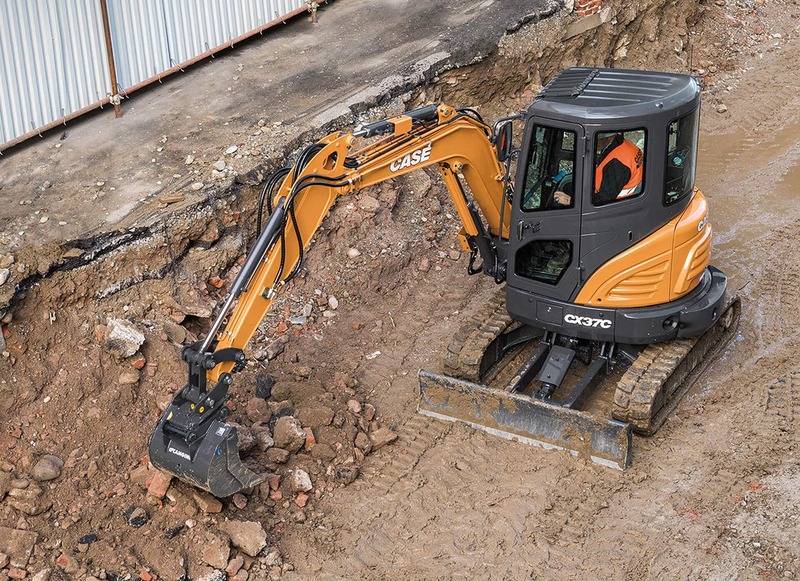 The standard backfill blade, auxiliary hydraulics, proportional controls and Automatic 2-Speed Travel system, along with a nimble design, makes the CX37C a powerful multi-use platform ready for use with a wide variety of attachments. 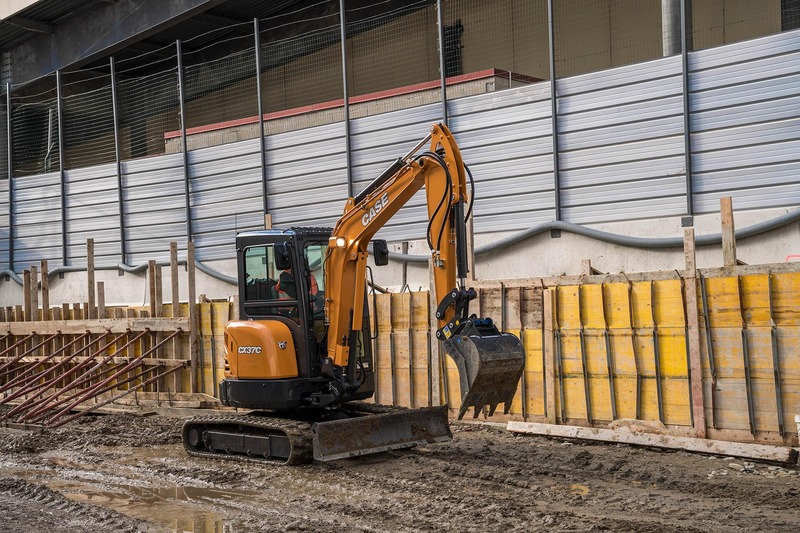 Its adjustable boom can be offset to the left or right and with a zero tailswing design, the counterweight won't protrude over the tracks, making this compact excavator ideal for working in residential construction applications or alongside structures. A long-reach configuration, thumb bracket and optional steel tracks further improve performance in specialty applications. The CX37C also offers an optional 4-way hydraulic blade that can be angled 25 degrees in either direction. The CX37C uses Cooled Exhaust Gas Recirculation (CEGR) to meet Tier 4 Final regulations. This zero-effort solution has no particulate filter to maintain, no exhaust fluid to add and doesn't require fuel-burning regeneration. Along with the standard auto-idle, the 24-hp engine delivers excellent power and fuel economy. The CX37C is available with a ROPS/FOPS four-post canopy or an enclosed cab with heat, A/C and radio. 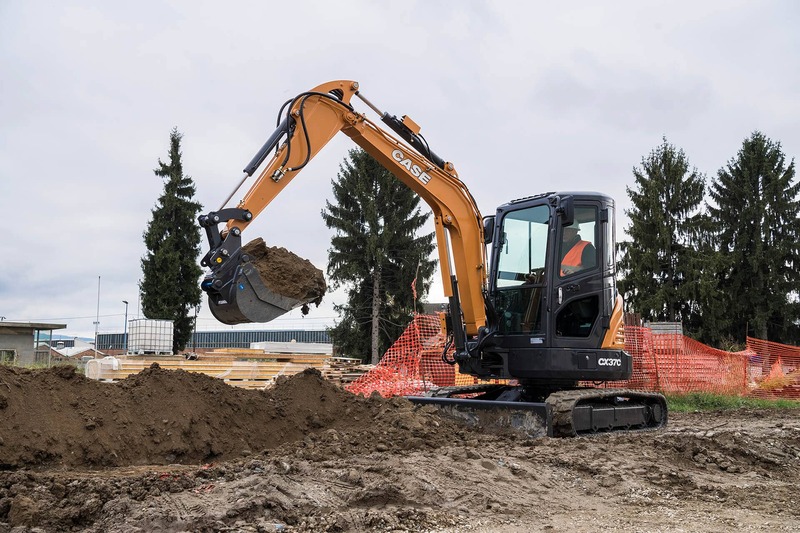 Both operator environments have outstanding all-around visibility and feature an adjustable seat and ergonomic joysticks with proportional controls for greater feel and responsiveness of attachments..
C Series mini excavators maintain the CASE hallmark of maintenance made easy. All fill ports, filters, gauges, grease points, and main service items are grouped together and easily accessible from the ground.